WordPress is a free open source software that is available for installation in your cPanel Softaculous installer for free. WordPress is a Software which is used for Creating Website for Education Institutes, Medical Institutes, Small Businesses, Corporate Business. It is Easy to use Software & you can install addon plugins like social media plugin, SEO Plugins for you. 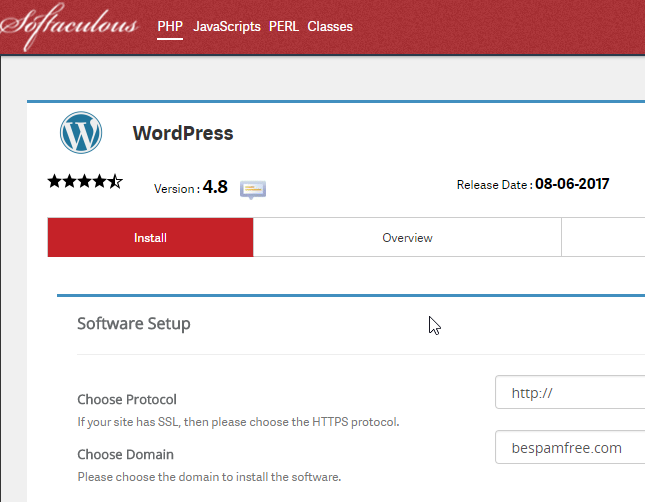 This article will explain how to Install WordPress through Softaculous. 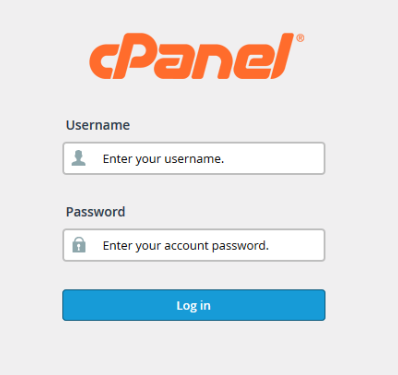 A) Login into your cPanel. B) Go to Software section, then click on the Softaculous icon. C) Click on the WordPress logo. D) This will open a screen with several options to show You will see a screen with Install, Overview, Features, and Import. Click on the Install. E) Fill in the WordPress set up information. The following is the necessary information you need to fill in. F) Softaculous will Check the submitted data and install the files to your server for WordPress..
G) Click Return to Overview. H) Visit your website in your browser. You should see a new WordPress install like the snapshot to the right. 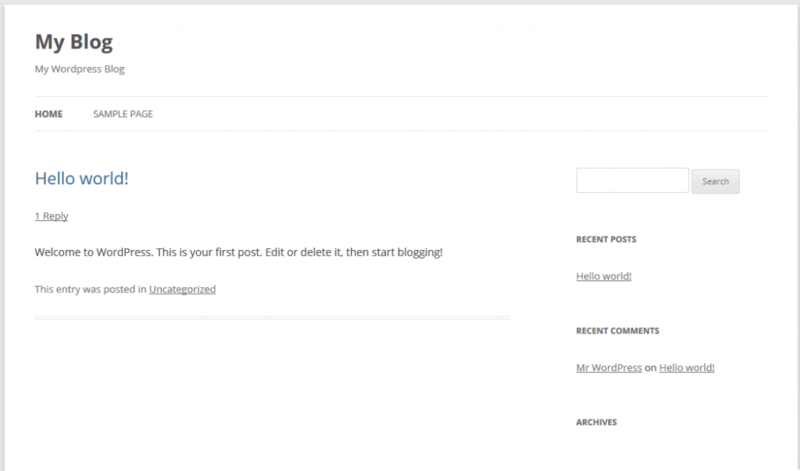 You are Done now you know how to Install WordPress using Softaculous! 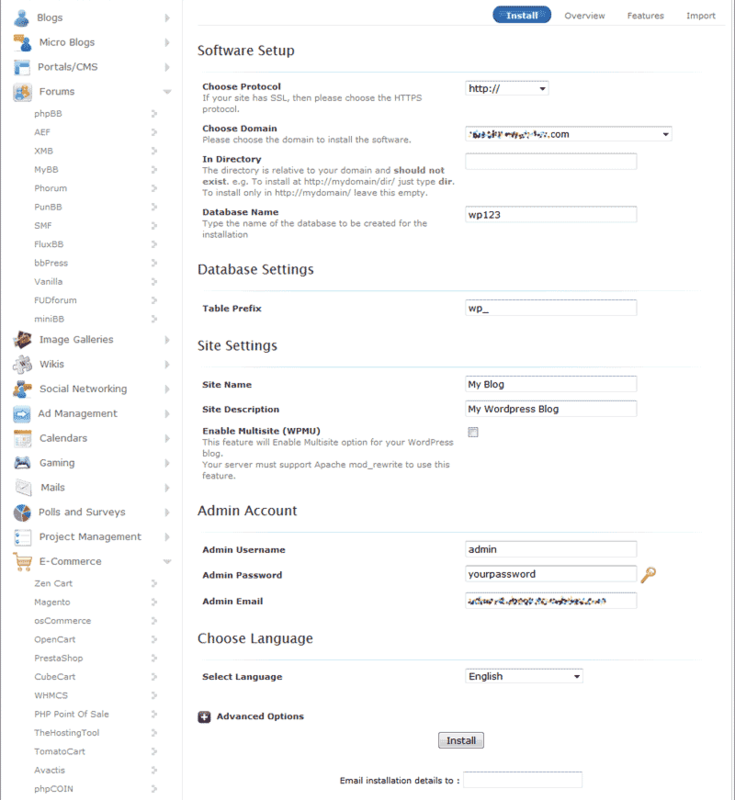 How to Create Email ID in Cpanel? How to Set an AUTO Responder in Linux Shared Hosting?